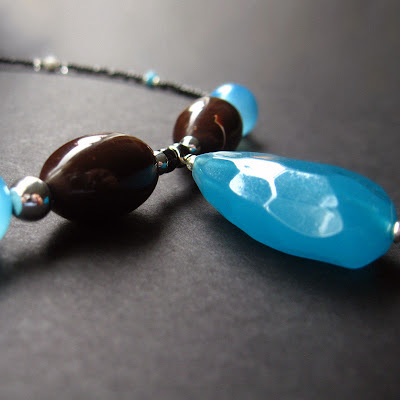 I love earthy styles and enjoy working with glass beads and stones more than any other materials. 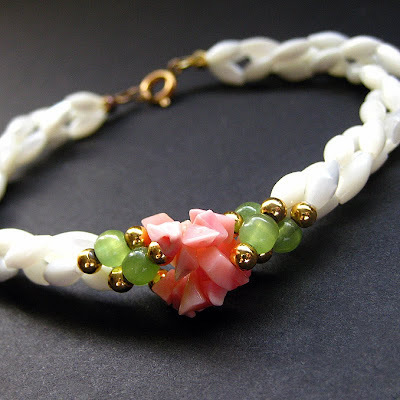 That said, though, for some purposes, glass beads and stone are a little too heavy. If you use too many of them in an eyeglasses chain, for example, you'd end up having your glasses constantly tugged down by the weight of the lanyard. 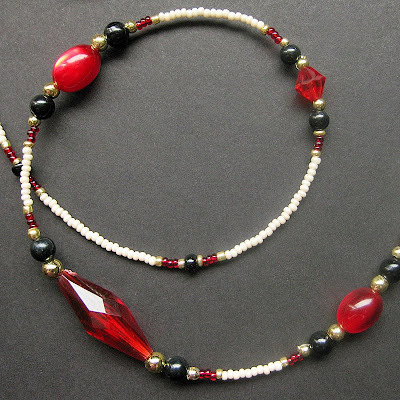 That's one of the situations where materials such as acrylic beads come in handy. 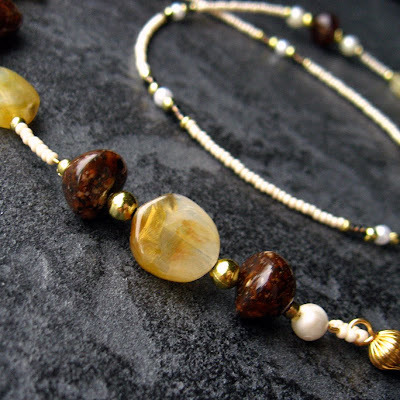 In this earthen brown eyeglasses chain, acrylic beads are light-weight but with the look of tumbled stones to create an earthy style that's brought together on a fully beaded strand of white with gold and pearl accents. 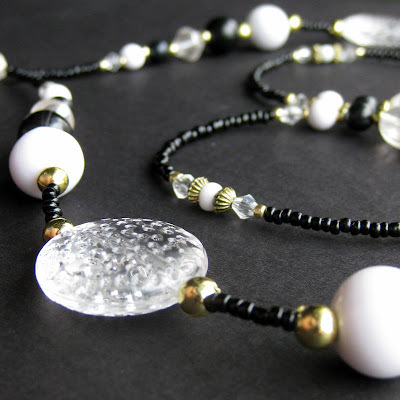 This beaded eyeglasses chain measures at 29.75" (75.5 cm) from tip to tip and is made with smooth beads at the nape for the comfort of the wearer and decorative beads at the ends to show off a sense of style while keeping your eyeglasses easily in reach.